When you need new asphalt, the process of having it installed isn’t quite as cut-and-dried as most people think. Not all asphalt mixtures have the same makeup, and you need to know that your installer is using the right type for your location and your traffic needs. 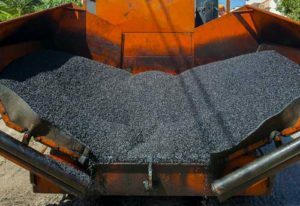 Here’s what you need to know about asphalt paving mixture before you have new asphalt poured on your driveway, road or other surface. Dense-graded mixes – Dense graded mixes are used for general uses, and they are defined based on the size of the particles they contain. Fine-graded mixes have more sand, while coarse-graded mixes have more larger particles. This asphalt mix can be used for all pavement layers and when patches are needed. Stone matrix asphalt – This asphalt is designed to provide stone-on-stone contact to make it stronger. It is used primarily to cover high-traffic roads because of its ability to resist rutting. Open–graded mixes – These asphalt mixes are water permeable and contain crushed stone and a small amount of sand. When used as a surface cover, these mixes prevent the amount of tire splash and spray when drivers face wet driving conditions. It may also be used as a drainage layer. These various types differ in both use and cost. While stone matrix asphalt may be the more durable option, it’s also the more costly, so many will opt for something different when choosing asphalt for their home driveways. Open-graded mixes are ideal for surface use, because they allow water to run away from the surface of the road, but they are not durable enough for other applications due to their porous nature. Finding the right type for your application is critical. If you’re having new asphalt installed at your home or commercial property, make sure to ask your installer what mix they are using, and why. Look for an installer that is confident in the answer to this question. Also, be sure the installer considers the project type and the area of the country where you are located, as this can dictate which asphalt mixes are best. If you get authoritative answers to these important questions, then you can be confident that you’ve chosen a quality installer who will choose the right products for your needs.